What’s The Best Vibration Plate? What’s The Best Vibration Plate For Home Use ? Vibration plates have gained a lot of recognition in recent times for been able to aid in weight loss, build strength and increase muscle tone. More recently studies have revealed a host of other benefits, some of which we will cover in this article. So what is the best vibration plate, well that all depends on what you expect to get from your vibration plate. 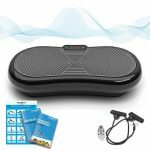 In this guide we will be covering all you need to know when deciding upon the best vibro plate,how to choose the best vibration plate for your needs and finally we will bring you all the best-selling models on Amazon. 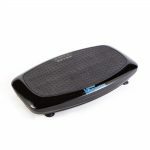 The vibration plate benefits associated with owning and actually using a vibration plate are numerous. Many clinical studies have been published in recent times indicating that the best vibro plates can indeed aid with weight loss. However this also requires that you do actually perform a vibration plate workout, not just stand there for ten minutes and watch the pounds fall off. 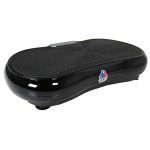 In addition to the medical benefits of vibration plates they are a convenient way to exercise at home. Below you can find a list of some of the main benefits associated with vibration plates. 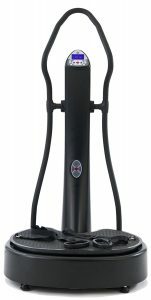 This type of vibro plate is the type most people are familiar with and can be found in beauty salons, sunbed shops and even some hairdressers have them to keep customers entertained/busy when they are waiting. 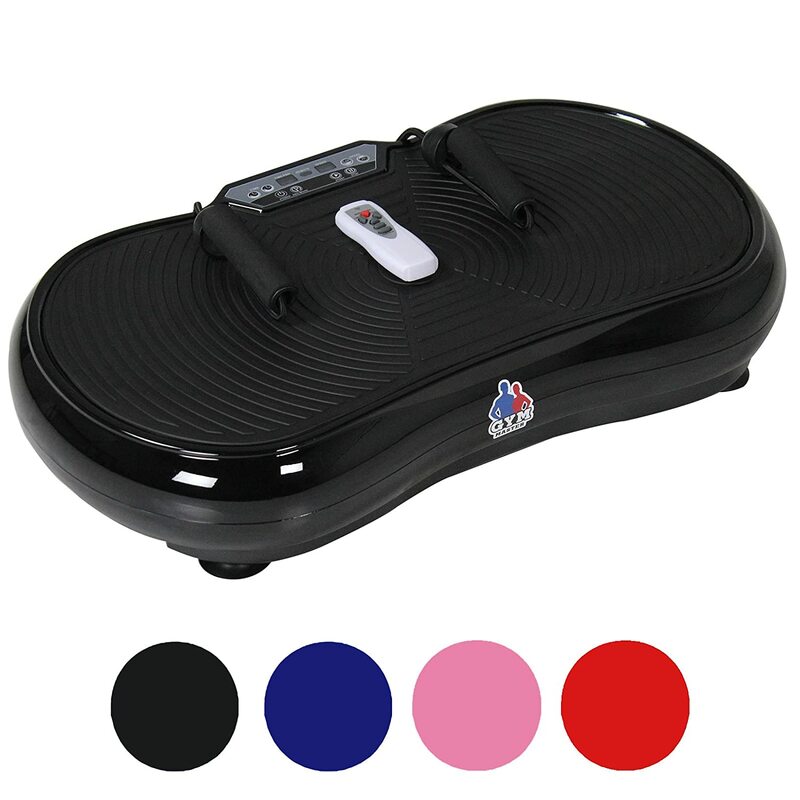 The main benefit of this type of vibration plate is that it can aid in weight loss. Another notable thing to say about these models is that they are also excellent for toning your muscles. 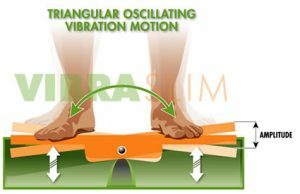 To use an oscillation vibration plate all you have to do is maintain a fixed position from numerous available ones and let the oscillation device do its magic. This device has also been shown to help with water retention and therefore lowering weight levels. 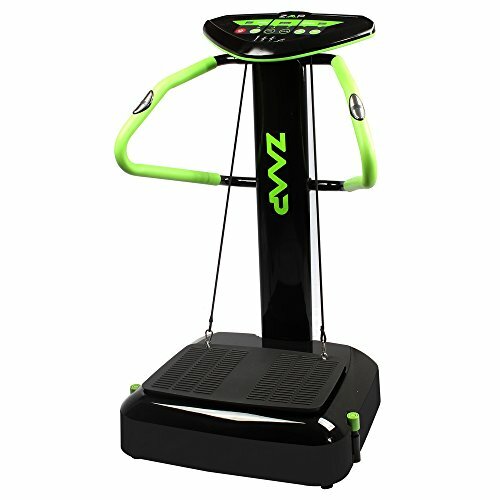 To not be disappointed in purchasing a vibration plate, I would highly recommend that you make sure your chosen model has a variety of pre-set programs. Another must is to try and get one with the biggest plate size you possibly can as these models are a lot more versatile when it comes to exercises. 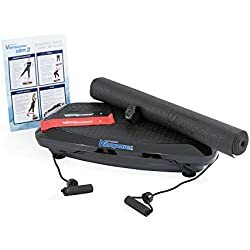 If you go to the gym then no doubt you may have already seen a Tri-Plane Vibration Plate been used and someone performing vibration plate exercises. This type of vibration plate is a lot more versatile when compared to an oscillation vibration machine. Furthermore Tri-Plates as they are more commonly known are a lot more technical in terms of routines and workouts that can be performed on them. The main reasons for using a Tri-Plate are that they can help with building muscle tone, increasing strength. 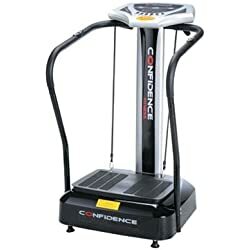 Most noteworthy is that this type of vibration machine has been proven to help with recovering from certain injuries. The motors on these are a lot more powerful than an oscillation plate and therefore the vibration produced are a lot more intense. Consequently this can lead to an intense workout and when used properly a full body workout can be performed in 15 minutes. The plate on this type of exercise machine moves across 3 dimensions these are up and down, back and forth and from side to side. Similar to oscillation plates when purchasing a Tri-Plate you want to get the biggest size plate possible. thus allowing you to participate In a wider variety of exercises, routines and workouts. Remember to look for a model with as many pre-set programs as possible and a speed range that goes to at least 50 for a more intense workout when you are more capable. The price range varies a vast amount with some models costing in excess of £5000. However these are considered professional vibration plates and are more akin to a gym than a piece of home exercise equipment. If you are looking for a top of the range home use vibration plate then you are looking at spending around a £1000. this doesn’t mean that you can’t pick a good vibro plate up for a lot cheaper. There are some really good models costing around a £150 such as the Bslimmer which is compact, portable and comes with support bars which for the money is great value. 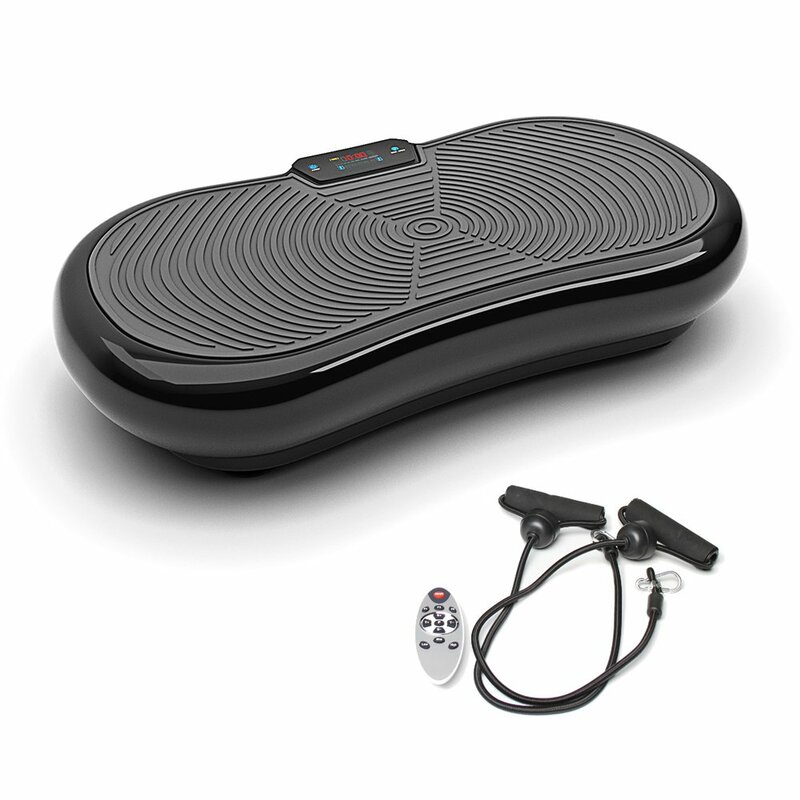 In addition to the medical benefits of vibration plates they are a convenient way to exercise at home. The main requirements for most people are that the chosen model has a variety of workout programs. In addition most prefer a fairly compact model and that the vibrating plate provides a workout that will be intense enough so as to not feel the need to up grade too early or if at all. 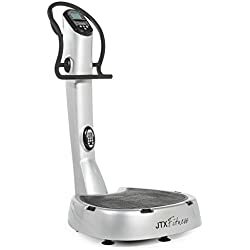 Taking all the above into consideration below you can find what we here at fitness fighters consider to be the best vibro plate to use at home. 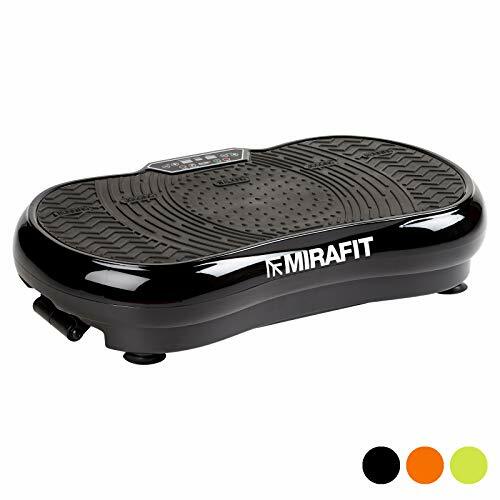 As always we will start with the best affordable option and this time it is the Mirafit Vibration Power Plate Gym Machine. Mirafit are a brand known to make affordable home fitness equipment with a good degree of quality too them. In terms of features this power plate does pack a bit of a punch. There are in total 9 pre-set programs offering a varied workout. The motor that powers this machine is a 1000W silent drive motor with a peak power output of 2500W, putting it on par with more expensive models. The built-in display shows the users time, speed and intensity of exercise. Speaking of intensity levels, there are 99 in total which isn’t the most, however, a good power plate is measured by the intensity of the levels and not how many there are. 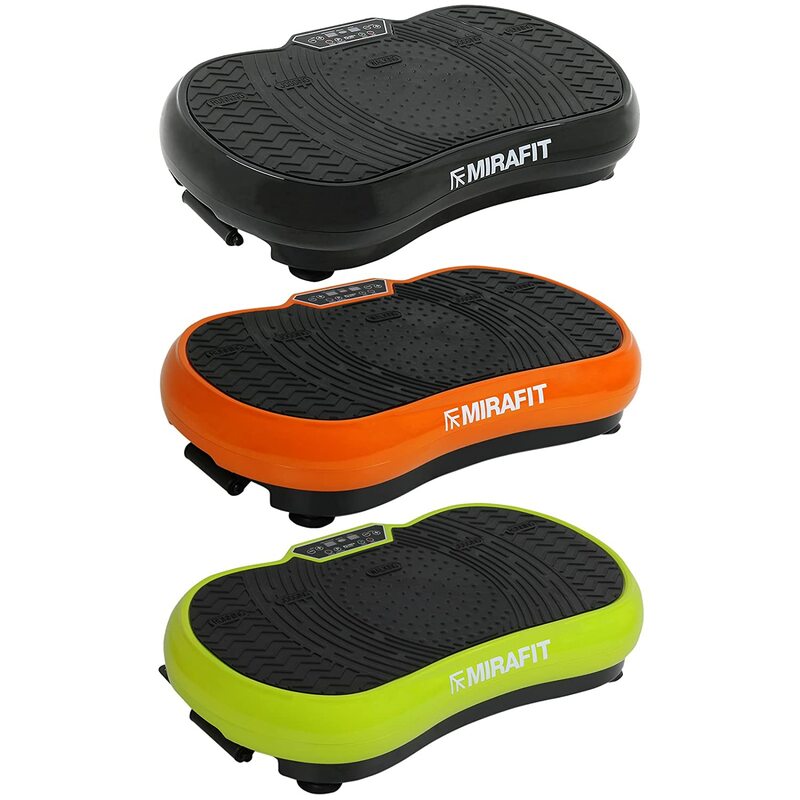 According to previous buyers the Mirafit power plate can give a good full body vibration workout at the top end. 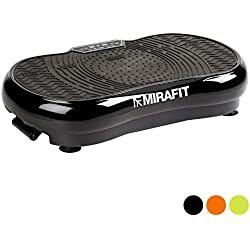 To sum up the Mirafit Vibration Plate is best suited to those seeking a cheap power plate that can actually give a workout with a good degree of intensity. 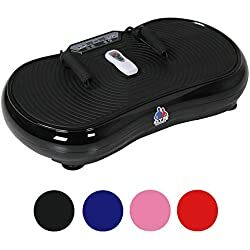 With previous buyers speaking highly in customer reviews and a four and a half star rating on Amazon this is the best budget vibration plate. 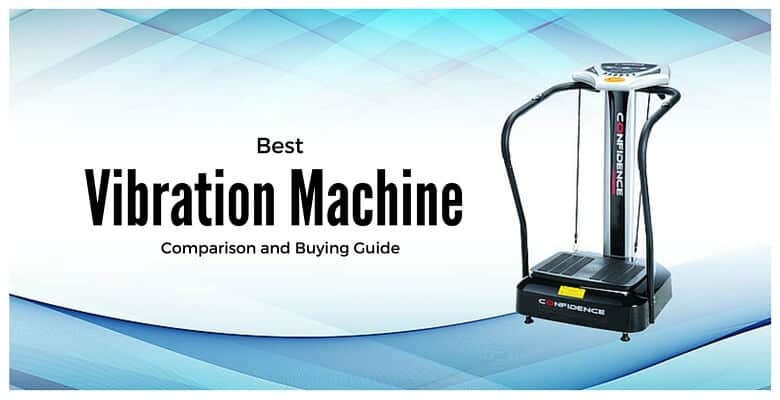 The Gym Master Vibration plate is another model that falls into the same price bracket as the previous two models featured in our vibration plate reviews. Again customer feedback from previous buyers seems to be very good with the quietness of the Crazy Fit Vibration Plate been a hot topic. This model is powered with a silent motor and the peak power output is 1000W, which isn’t the most, so i wouldn’t expect an overpowering workout. The LCD gives a clear readout which is easily visible and simple to navigate through the options. There are 99 speed settings and 6 pre-set programs for a versatile workout. Another positive are the four colour options making it possible to have this vibro plate match your decor, as long as the room you intend to keep this in is black, blue, pink, or red that is. In a few words this is a good budget vibration machine on the downside the motor isn’t as powerful as the two previous budget models we have already looked at. 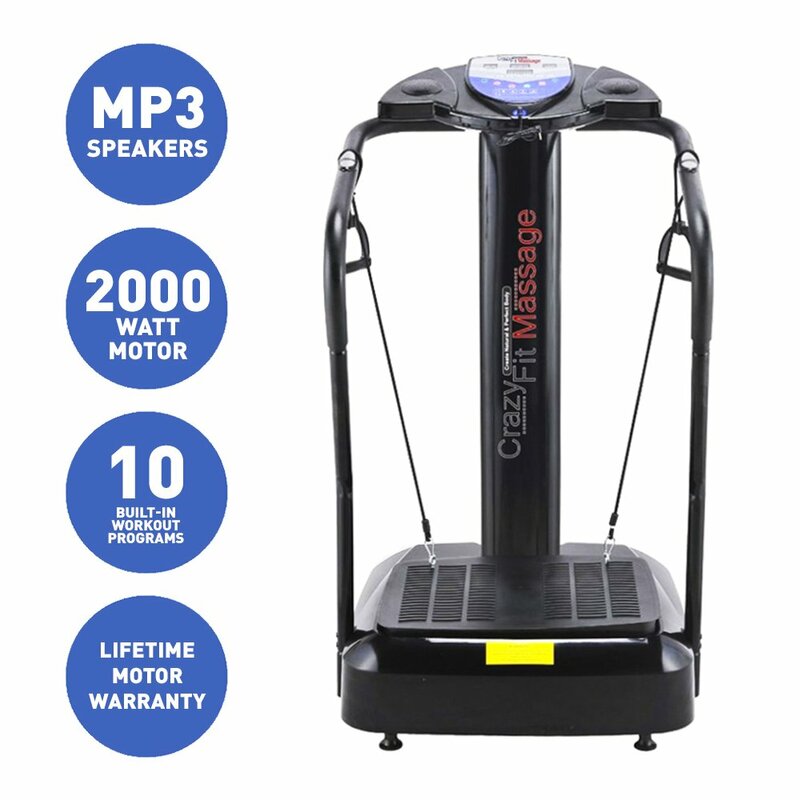 The Bluefin Fitness Vibration Plate by Crazy Fit Massage is one of the best-selling vibration plates in the UK. With as many sales as this model has there is a lot of customer reviews to be found and overall feedback is generally very positive. Weighing in at a total of 19 kg and been very compact in design this is a very portable vibration plate and can be easily stored in a small cupboard or something similar. 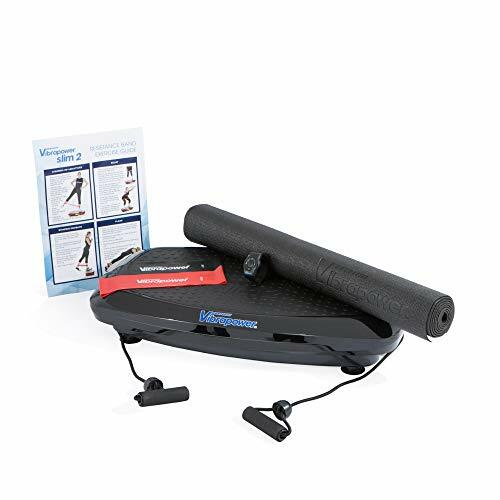 Due to the compact design those with limited space could consider this vibro plate as one of the best home vibration plates. With a 1000w motor and 2500w at peak power this model can give some good vibrations. Consequently there are 180 levels of intensity and at the top end this machine does get going. The bright LCD displays the exercise duration and intensity level allowing you to keep track of your workout clearly. 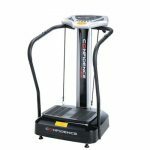 The type of workout this machine offers is a full body vibration workout and with 5 programs such as the weight loss and toning program there is plenty to keep users entertained. Furthermore there is a remote control for changing the programs and intensity level. For those that are motivated by listening to their favourite music the Bluetooth speaker is a handy feature. 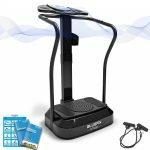 If you are looking for a very compact vibration plate with some power to it the Bluefin Fitness Vibration Plate Ultra Slim is a worthy contender. With some good specifications and excellent customer feedback this one is worth taking a look at. 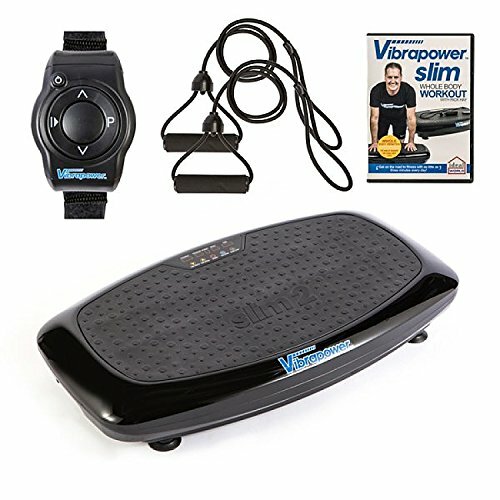 The Vibropower Slim 2 vibration plate is a step up in terms of price and quality. With the extra price also comes a few additional features. The LCD screen is brightly lit and shows the usual three settings which are time, speed and program. In addition this model also features a built-in calorie counter which is a nice touch as not many vibration plates have one. With a 2000W motor buyers can be certain of a very good full body vibration workout. There are only 20 speed settings which may seem like a bad thing, however the intensity of workout jumps quite dramatically between each setting. For keeping you entertained there are 5 programs offering a different workout. Another positive is that the Vibropower Slim 2 can be remotely operated through the Slim 2 wrist watch. This is another nice touch with this model as it means you don’t have to hole the remote control. This can be fiddly when holding the resistance bands for balance aswell. To be given the accolade of Amazon’s choice product for vibration plates this is obviously a very good model. With a few extras there is a bit more to the vibropower Slim 2 and the difference is noticeable when compared to the budget models we reviewed earlier. 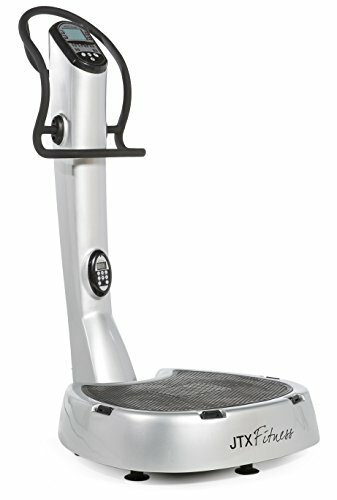 This is best suited to those that want the power of a bigger power plate but with the compact design of smaller models. 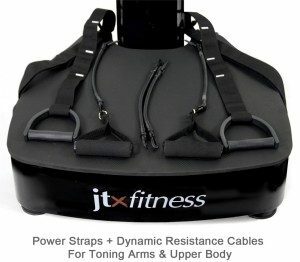 JTX are known to make some of the best home exercise machines in the UK. 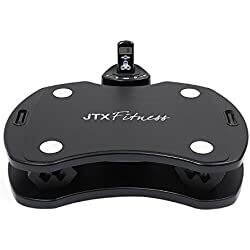 The first thing you have probably noticed about the JTX Slim-Fit is the big jump in price when compared to our previous reviewed vibration plates. The reason for this is due to this been a Tri-Plane vibration plate and not an oscillation vibration plate. The difference is that a Tri-Plane model moves in three directions opposed to the two of an oscillation vibration machine. The benefit of this is that it is more effective for weight loss and toning. The design is intentionally very robust and compact ticking two of the requirements of a good home vibration machine. In total there are 3 pre-set programs which may not seem a lot, however, due to this been a Tri-Plane vibration machine the workouts are more effective. In addition there are 4 speed settings ranging from 35Hz to 50Hz giving the user a full body vibration workout. Consequently all of the above can be controlled via the fully functional remote control. 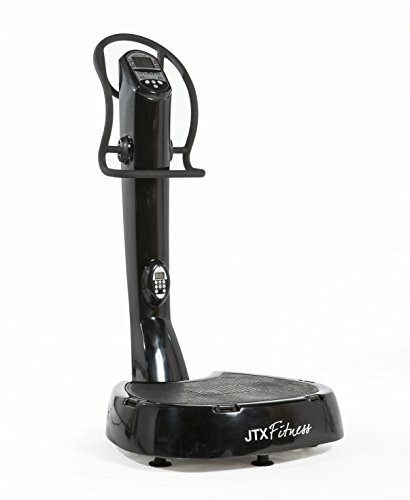 To sum up the JTX Slim-Fit is the best power plate without built-in handles available. The space-saving compact design is what makes it a popular model as it offers a workout on par with far larger vibro plates at a fraction of the size. 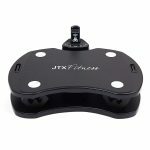 Another positive to buying with JTX is their customer service and aftercare policy. In with every purchase comes a 2 year guarantee for free parts and labour and if needs be they will send an engineer to your home to do repairs. 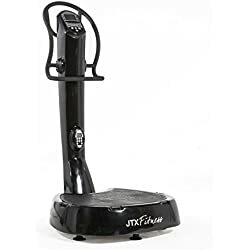 Previous buyers have good things to say about JTX and we have to agree as they make some high quality exercise machines. This is the perfect entry model for a vibration plate been reasonably priced and great value for the money. 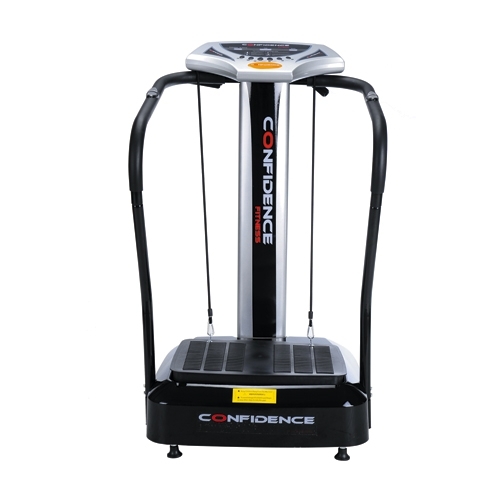 The Confidence vibration plate is user-friendly having a simple control panel but at the same time looking really modern. A notable feature and definitely worth a mention is the adjustable frame. Due to the adjustable frame it makes it easier to store away, which is ideal for home use. Overall this is a really affordable beginner vibration plate and a good contender for best vibration plate under £200. The ZAAP TX-5000 Power Vibration is the best-selling vibration plate in the UK. With a four and a half star rating on Amazon previous buyers seem to be very impressed with it. 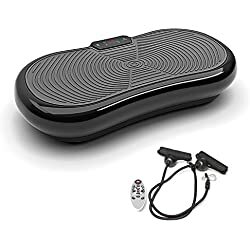 From the sleek design to the colour scheme this looks like a modern vibration plate and the LCD is the same, with the simple to use interface users can track their exercise time, speed setting and their pulse. Built into this model are 3 pre-set programs and 50 incremental speed settings. Even though the ZAAP TX-5000 is powered by only a 600W motor it does appear to be a very good one as numerous customer reviews report how there is a good range of intensity with the speed settings. Another positive that often gets mentioned is the overall sturdiness when in use. Due to this model having a good weight of 30kg it does feel very robust when been used. There is a reason this model is the best selling vibration plate in the UK and it’s because of the unbeatable value and overall quality. This is technically speaking still a budget vibration machine, but a very good one at that. With as many positive reviews as there is with this model potential buyers can be assured this is a good buy and great value for money. 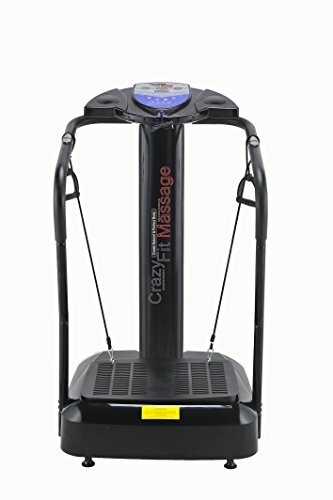 This is the second model by Crazy Fit Massage to make it into our vibration plate reviews and this time it’s the Bluefin Fitness Vibration Plate Trainer. In terms of design and looks this model is very similar to the previous two, where the difference lies though is in the price and specifications. 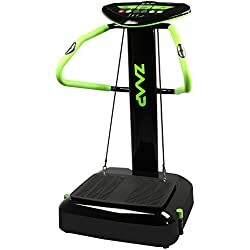 The Bluefin Fitness vibro plate does cost a bit more than the ZAAP TX-5000 and the Confidence Fitness Vibration Trainer you do get more for your money though, lets take a look! The first thing to say is that this vibration machine has just been upgraded making it even better than it previously was. 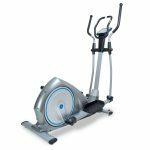 Now featuring a silent-driven 2000W motor with 3900W of peak power output this is a powerful machine offering a very good vibration workout. The LCD interface is quite large and allows the user to control the 180 speed settings and see their workout time, calories burned and pulse. Due to the built-in sensors in the handles users can also obtain an accurate BMI readout, this is a feature more expensive models usually have. Finally there are 10 programmes for a varied and entertaining exercise workout. For an added boost of motivation there are 2 built-in speakers for playing music, i don’t know about you but music always gets me pumped and makes me work that little bit harder. To sum up this model is best suited for beginners and intermediate users. With some good features and specifications this does appear to be a very good vibration machine. 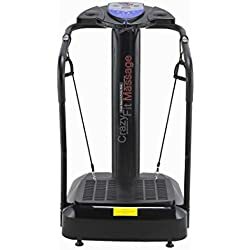 With a very powerful motor if you are considering buying this vibro plate, i would recommend buying an exercise machine floor mat if i was you. 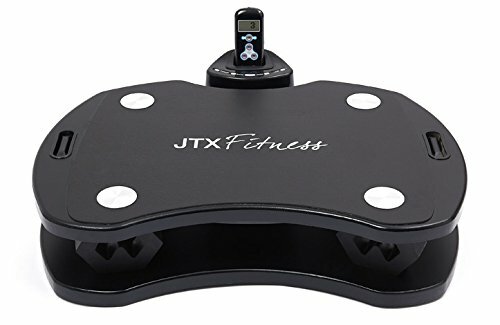 Once again we have a model by JTX but that’s hardly surprising as they do make some of the best vibration plates around. This model is in the mid price range but still has many of the features that more expensive models possess. For example there are both vibration and oscillation options available with the JTX 6000. Consequently this means that you can tailor your workouts to either been focused on weight loss and cellulite reduction or building strength and muscle toning. All in all this is a very good vibration plate and is suitable for both beginners and those more familiar with using a vibro plate. JTX Pro-10: Power Vibration Plate. 3 Yr In-Home Servicing. FREE Vibration Plate Accessories. When it comes to vibration plates it doesn’t get much better than this. The JTX Pro 10 has all you need to be able to perform a full body workout and exercise routine. With two control points for ease of use, so you don’t have to move from your position to change routine, the JTX makes life that little bit easier. Due to the fact it can perform a full workout in 15 minutes this is the ideal machine for those in a hurry. Although this is a little expensive for most if you do have the spare money to invest you wont regret it. This model will last for years and the money saved in gym memberships will soon make it pay for itself. All in all this is top of the range and high quality buy if you can afford to. Before choosing to buy a vibro plate there are many things that you should take into consideration first. below you can find the most important things to think about before you make your purchase. Although this may seem obvious to most people, you would be amazed how many people do actually buy a vibration plate without checking the dimensions to see if it will fit. 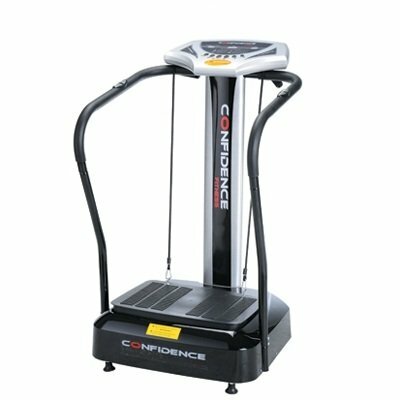 Depending on where you are going to put your vibration plate you should always check the manufacturers dimensions of your chosen model. Equipment Tip: remember that you will need to have a plug socket within reach of where you intend to use your vibrating machine. Whether or not your plate comes with pre-set programs is determined mainly by how much you are willing to spend. Obviously the more expensive models come with a wider variety of programs and workouts to aid you in your fitness routines. The benefits of having a model with pre-set programs are that if you don’t have a clue how to use a vibration plate, you can simply choose a programme from the control point and crack on. Most noteworthy is that the cheaper models rarely come with any programs and workouts and are fairly simple in design and components. To go into more detail the amplitude is measured in hertz (HZ) and the measurement range is known as impulses per second many models call this frequency on their dashboard. If you set your plate to 100 impulses per second your plate will vibrate 100 times per minute. The higher the frequency relates the higher the intensity of your workout. This refers to how high the platform raises and is measured in millimetres (mm). The higher the platform the more intense your workout will be. Most noteworthy is that different models have different amplitude heights. The size of the motor determines how powerful your vibration plate machine will actually be. The motor is what provides the vibrating effect of the plate and is measured in hertz (HZ). As a general rule of thumb the bigger the motor the bigger the plate will be, as it’s no good having a small plate with the most powerful motor and vice versa. It’s the same when buying any piece of fitness equipment you should always make sure that the supplier/retailer provides a money back guarantee. In addition to the fact that it inspires confidence in the supplier that you are buying its also a reassuring sign that they are also a reputable company. Most money back guarantees are valid for 28 days. However some companies also have some pre-requisites for you to be able to return the item, mainly that the item is in its original package. However some companies also require that the item hasn’t been opened at all. A warranty is very important as nobody want to spend hundreds if not thousands on a piece of equipment for it to break a few months down the line. All the best manufacturers of sport and fitness equipment have a standard warranty with all of their equipment. Most noteworthy to mention though is that some of these require that you activate your warranty when you have bought your product. This is usually done in either one of two ways which are by phone or online form. 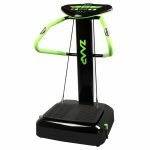 As you can see if you are looking for the best vibration plate then there is an awful lot to consider before purchasing. From compact models and pre-set programs to motors and plate size, in this guide I have pretty much covered all you need to know about vibration plates and how to go about buying the correct one. If you have read all the information you will be able to make a more informed purchasing decision and save yourself time and money.